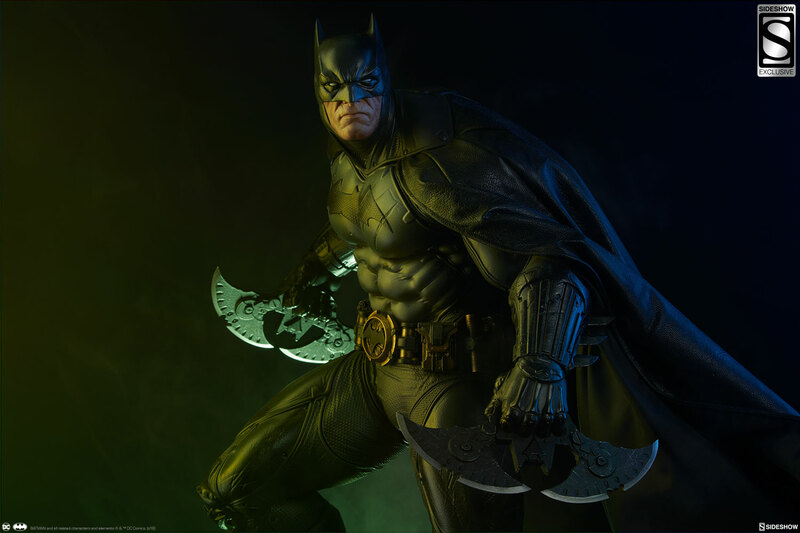 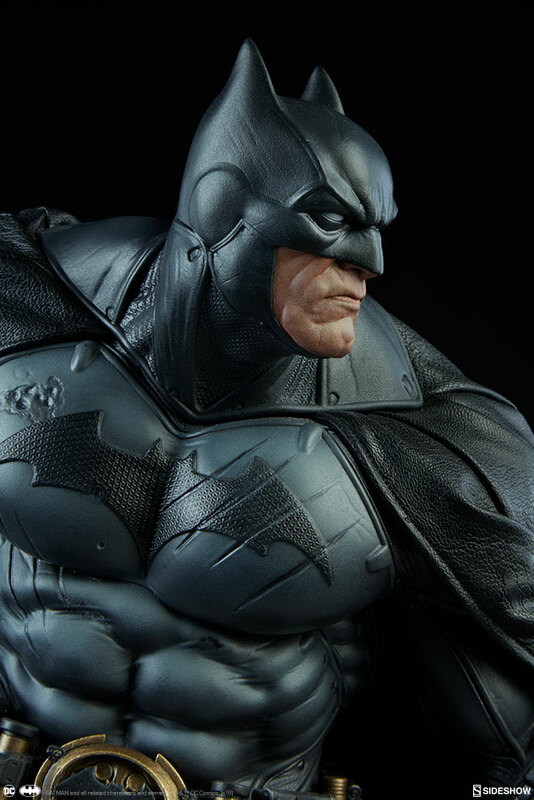 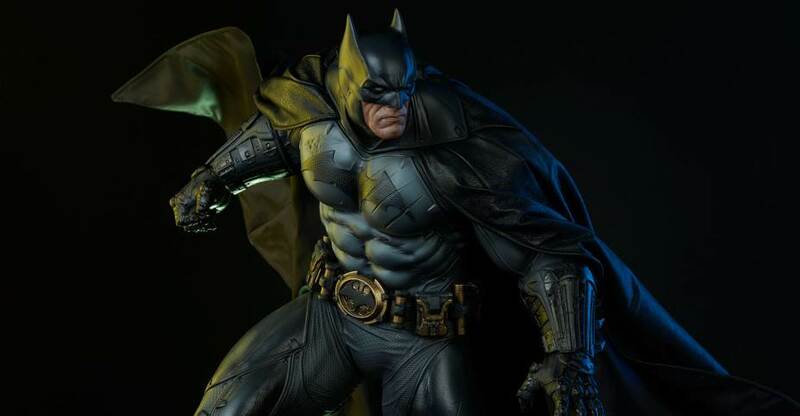 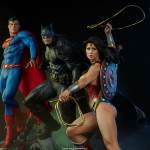 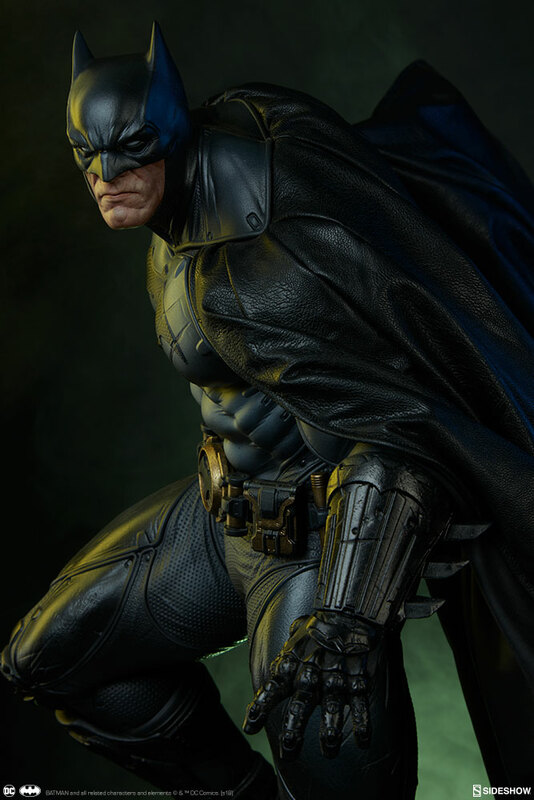 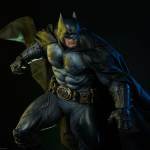 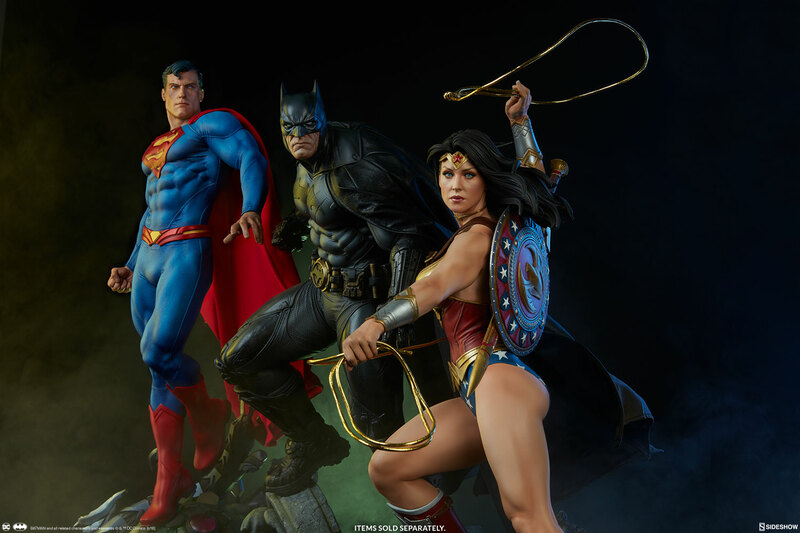 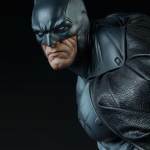 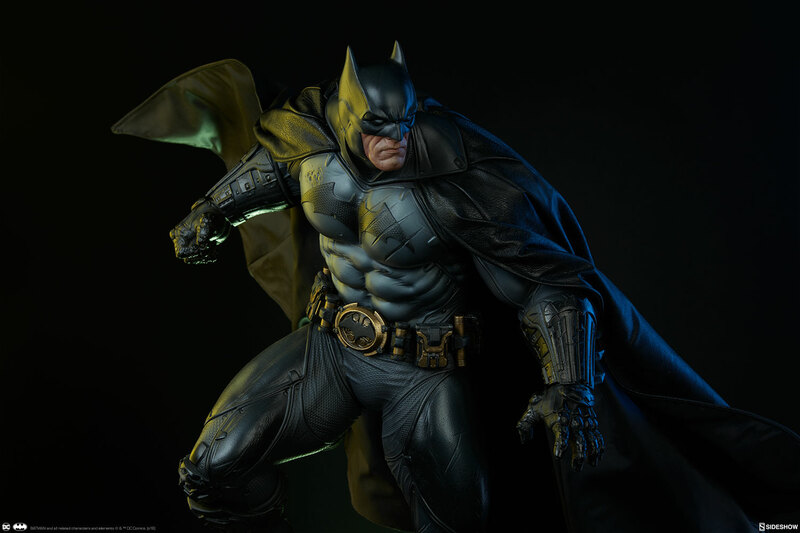 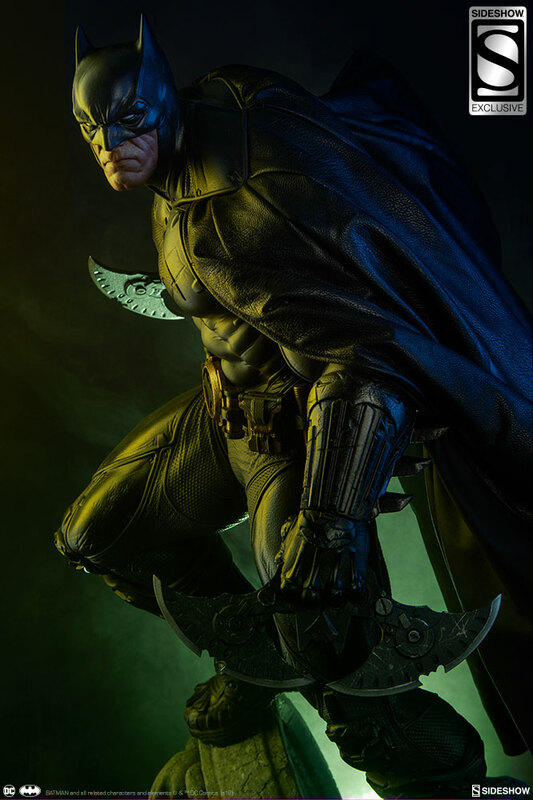 A new DC Comics Batman Premium Format Figure is coming from Sideshow Collectibles. 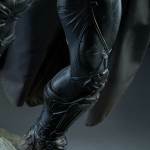 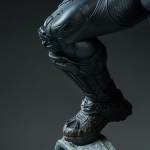 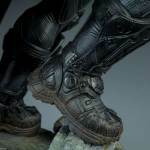 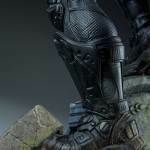 They have shared a bunch of new photos and some official details on the upcoming statue. 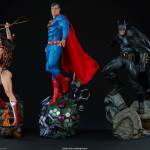 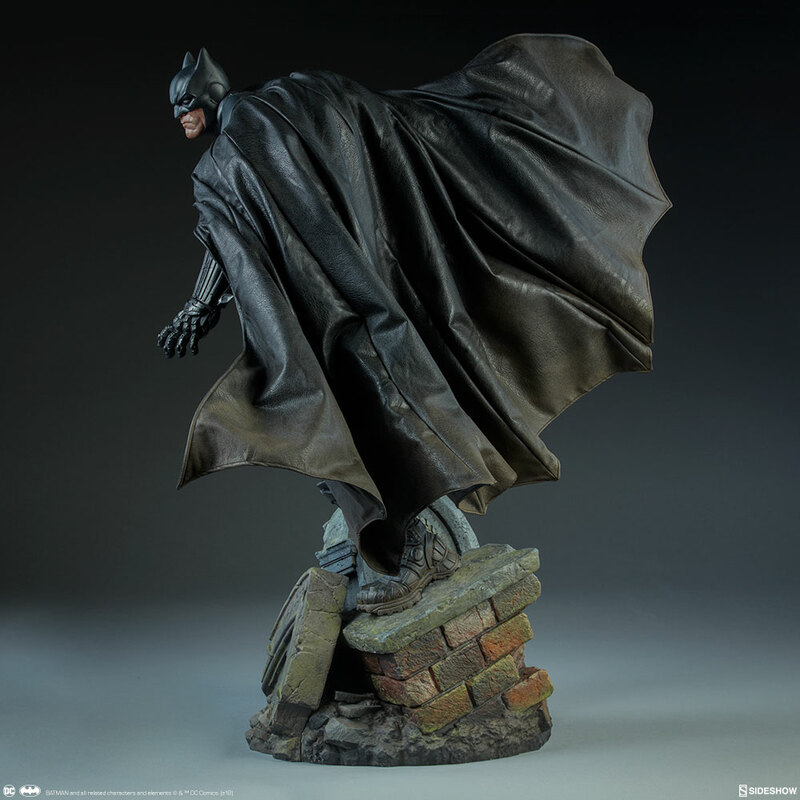 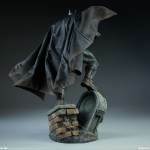 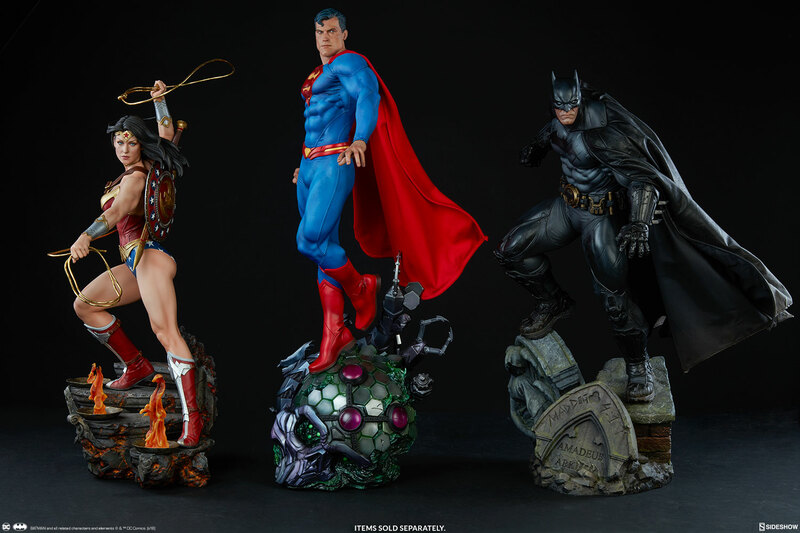 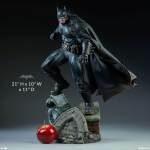 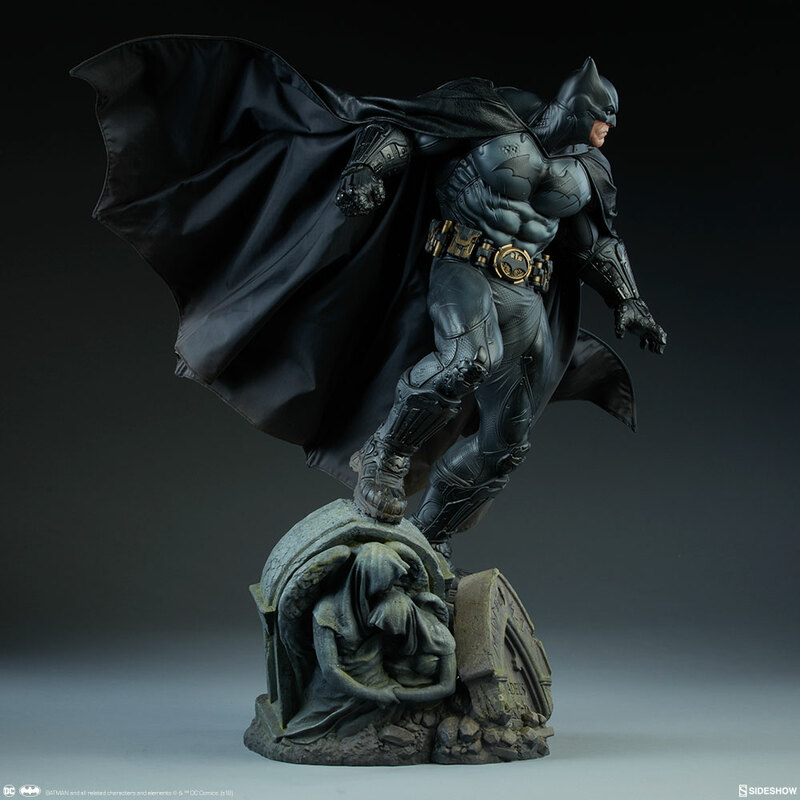 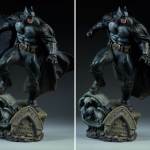 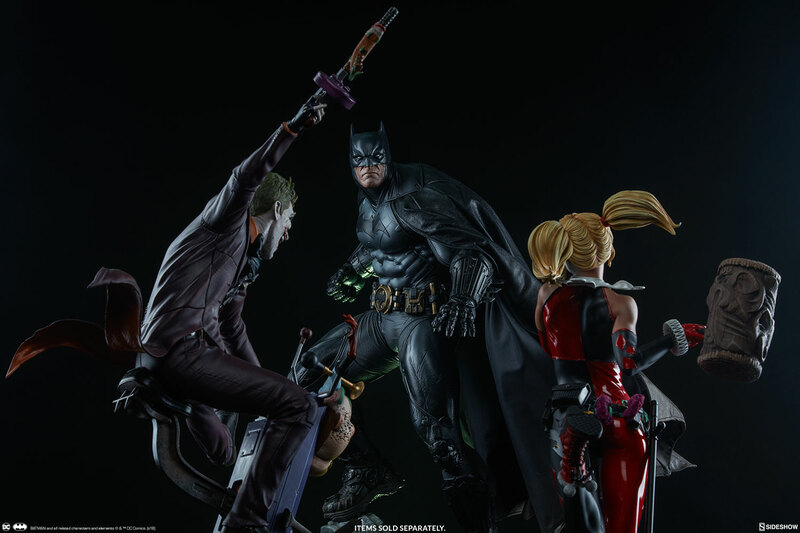 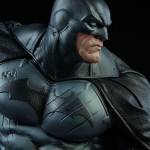 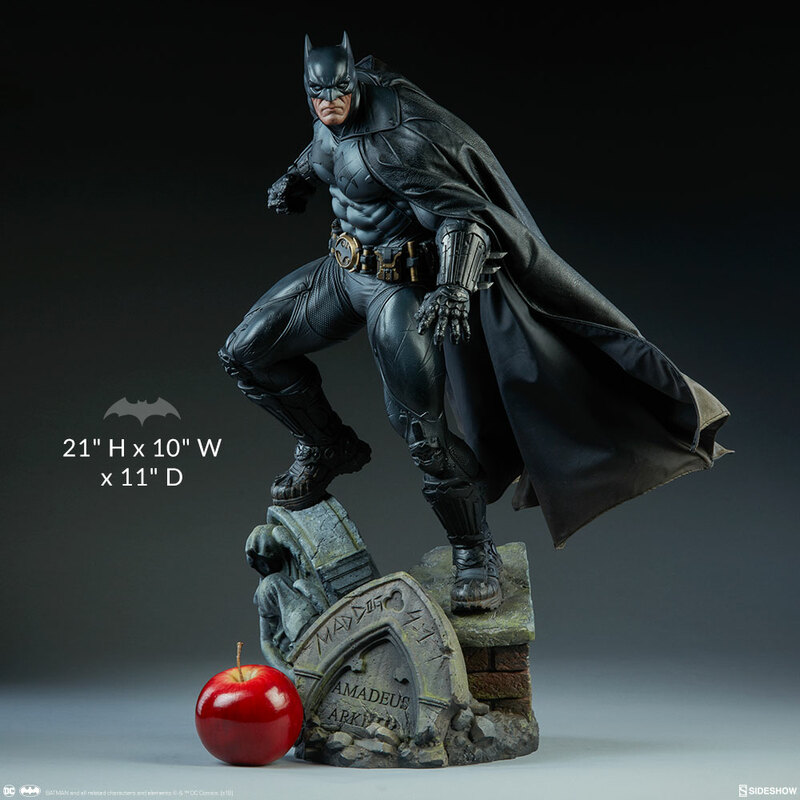 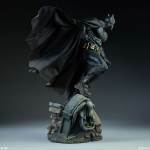 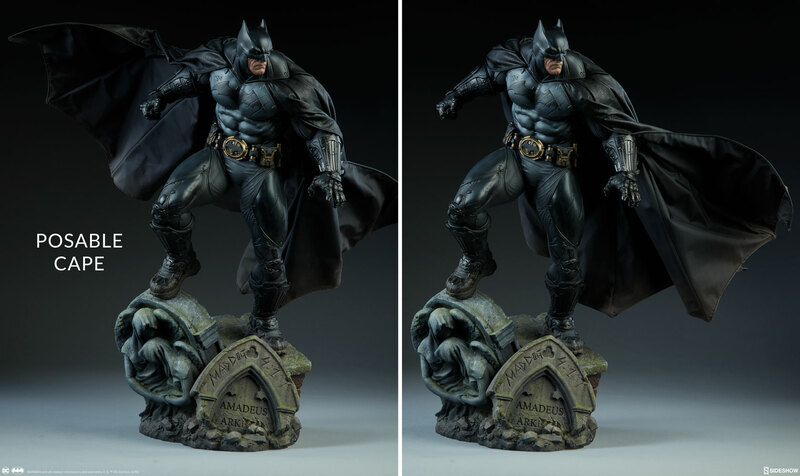 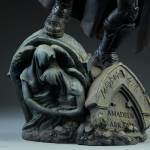 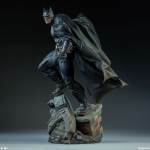 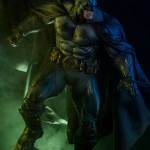 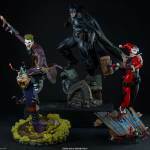 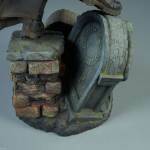 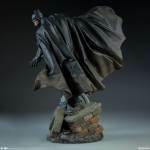 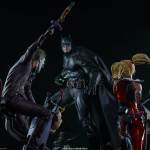 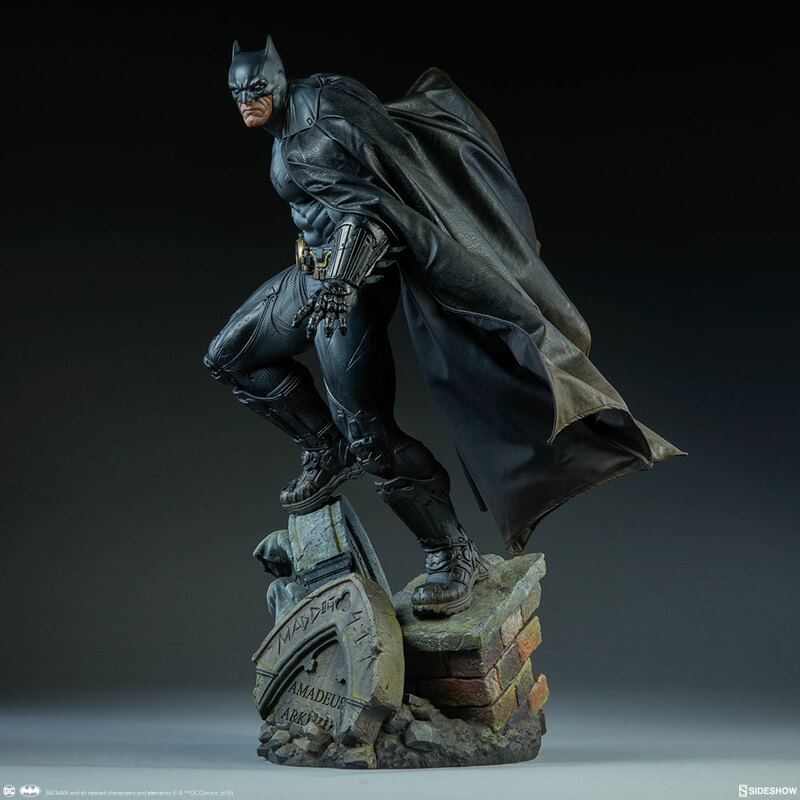 Batman stands at 21″ tall atop an Arkham Cemetery themed base. 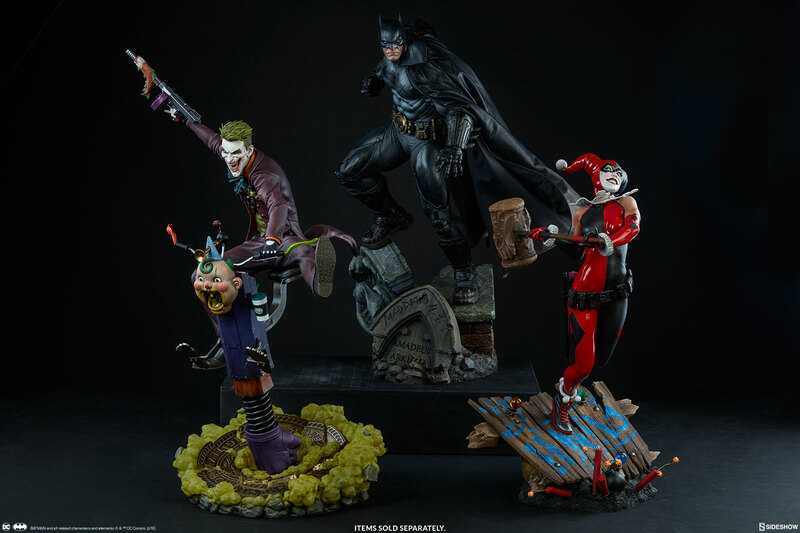 A Sideshow Exclusive version will be available. 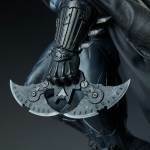 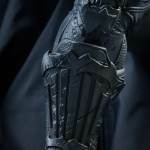 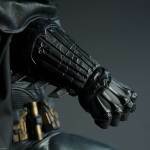 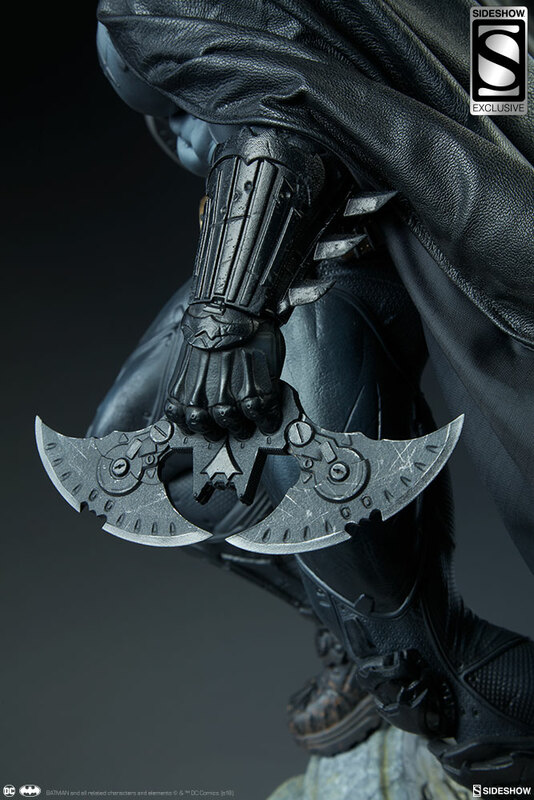 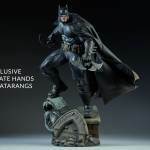 That edition will feature interchangeable hands holding Batarangs. 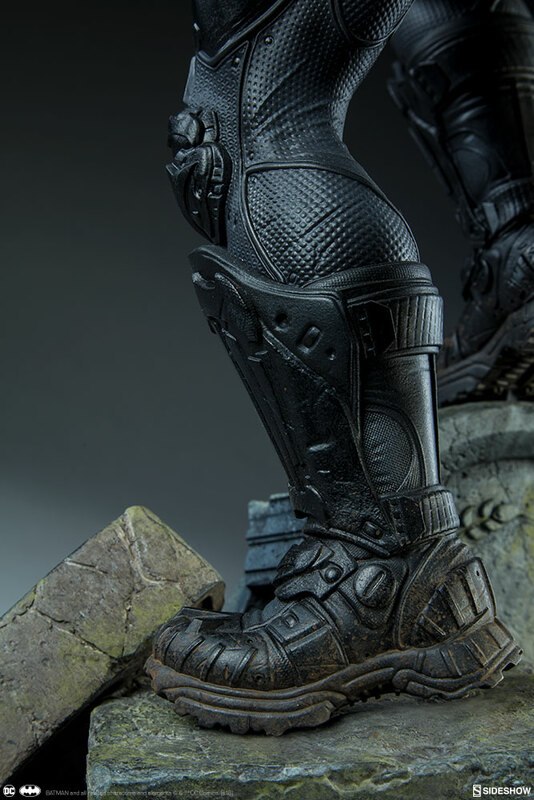 Pre-orders go live tomorrow. 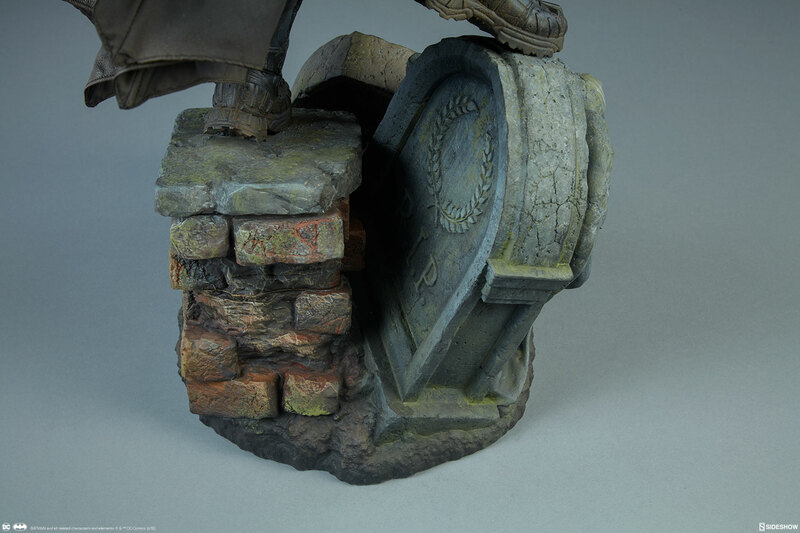 See more details below and the photos after the jump. 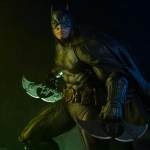 Criminals of Gotham, beware! 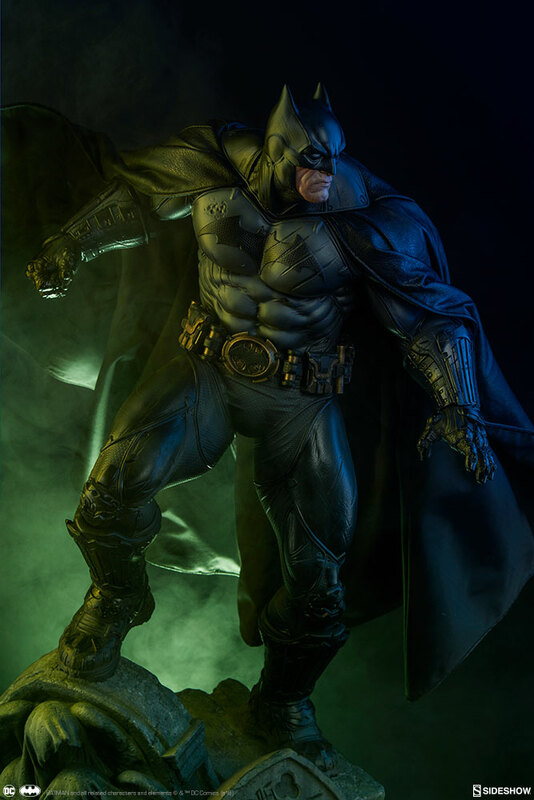 Sideshow is proud to present the Batman Premium Format™ Figure. 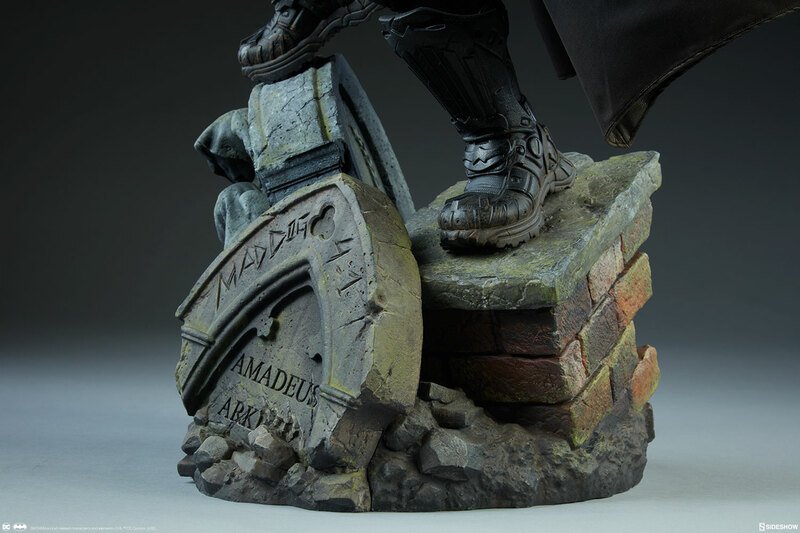 Batman measures 21” tall, perched atop an Arkham cemetery base. 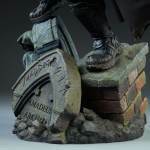 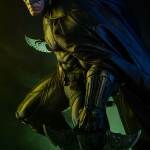 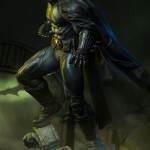 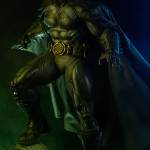 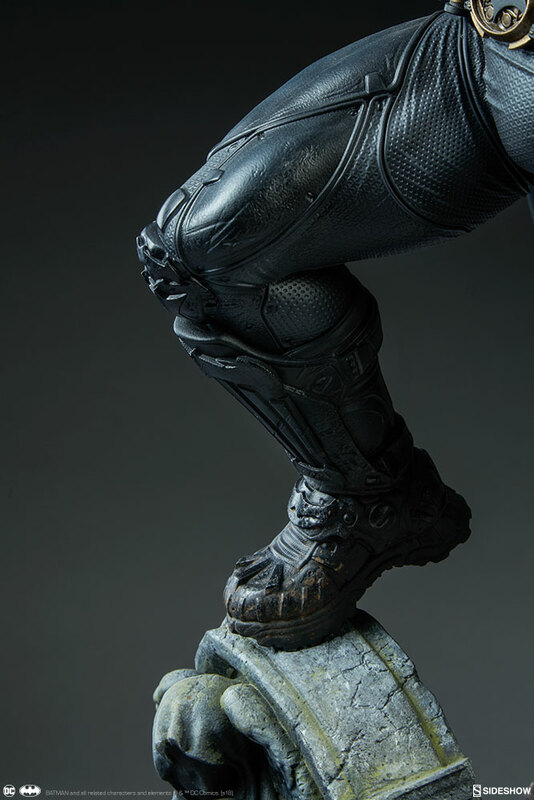 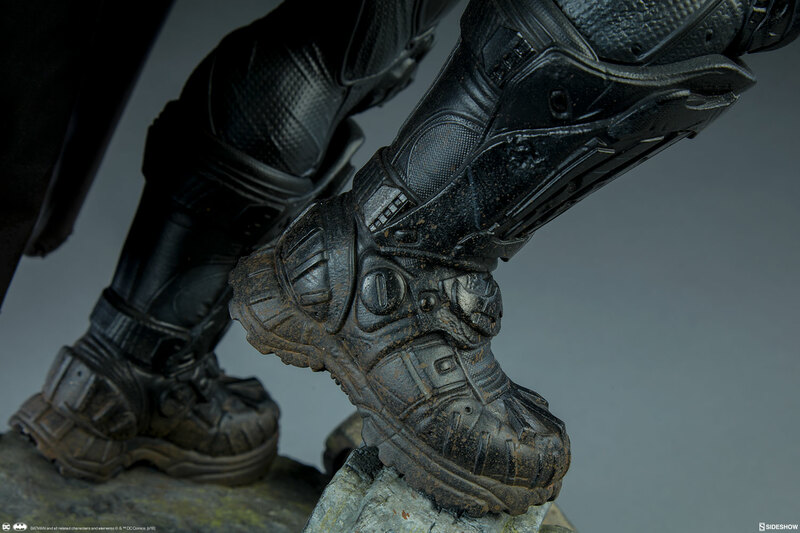 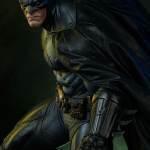 Fans familiar with the shaded history of Gotham’s famed asylum may recognize the marks of madness carved into the gravestones beneath Batman’s boots. 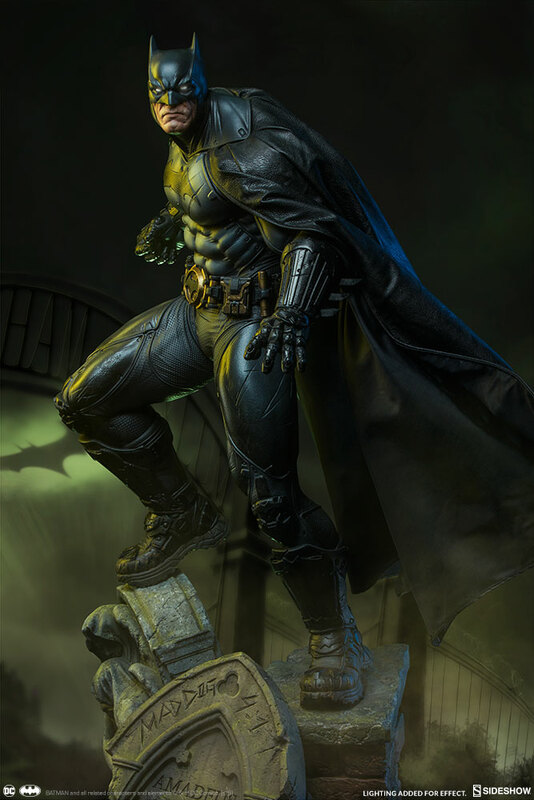 The Batman Premium Format™ Figure stands ready to bring justice to his city, wearing an updated version of his iconic costume. 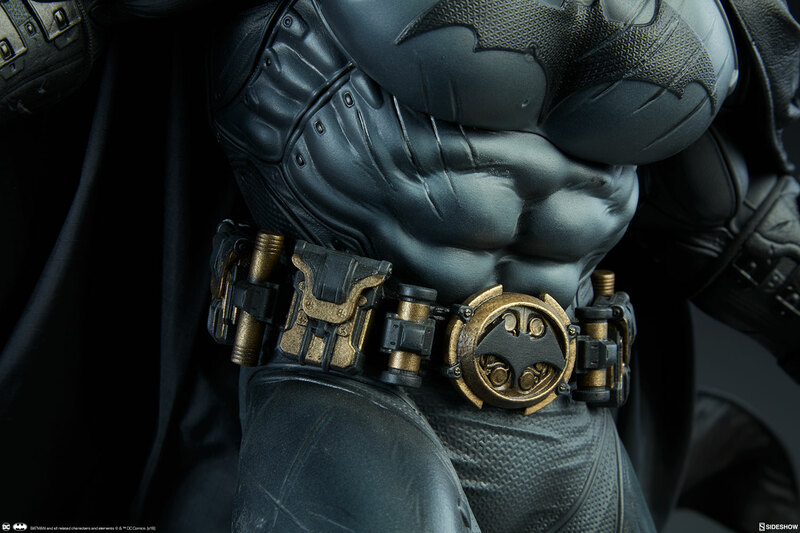 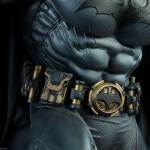 The polyresin figure has a sculpted black and grey tactical bodysuit featuring a gold utility belt. 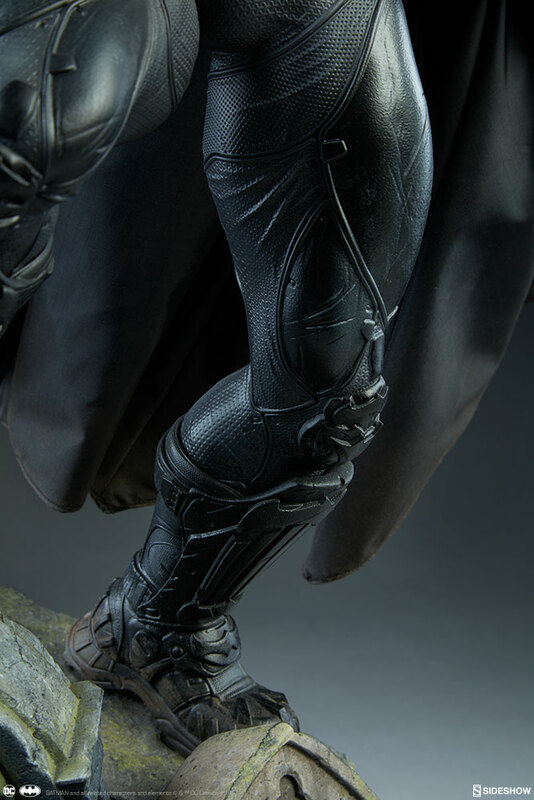 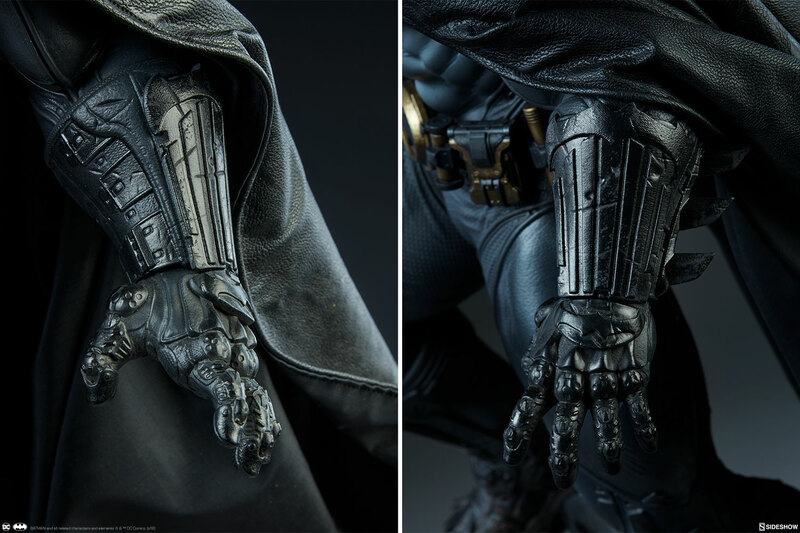 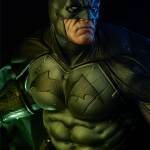 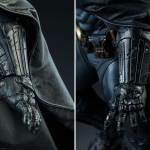 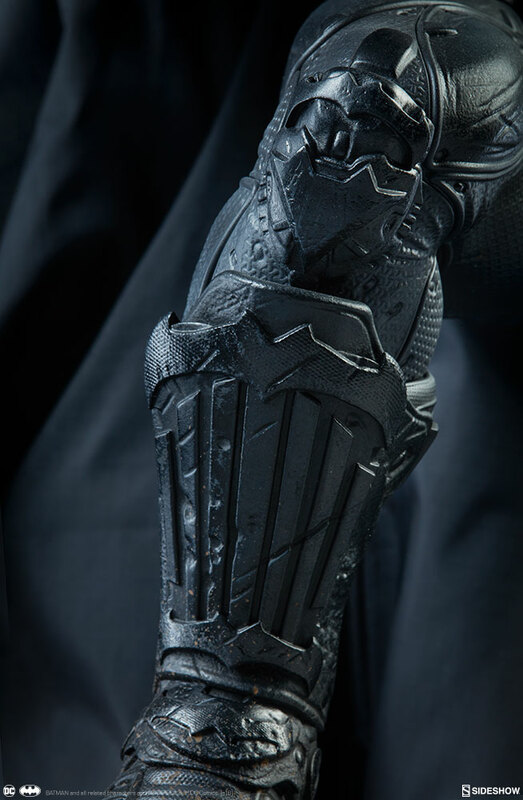 Batman’s chest, gauntlets, and boots textured with elements of battle-damage. 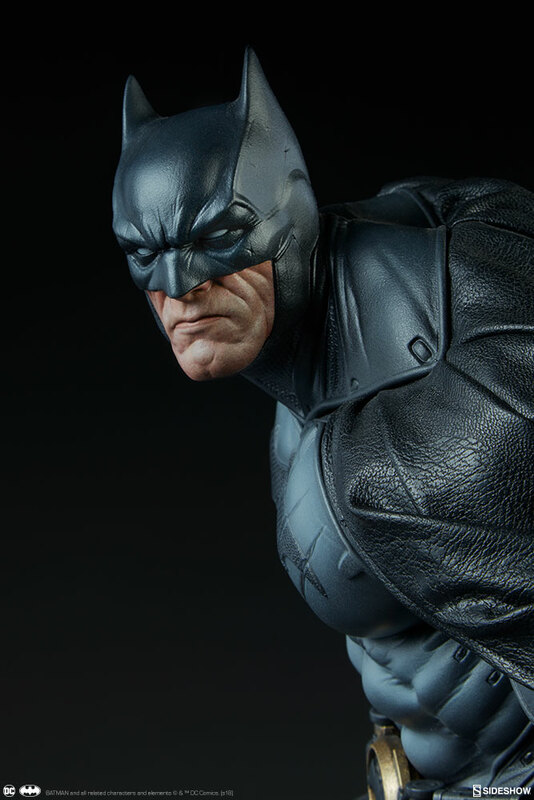 The Caped Crusader’s portrait is detailed with a grim expression, framed by his iconic cowl with white eyes. 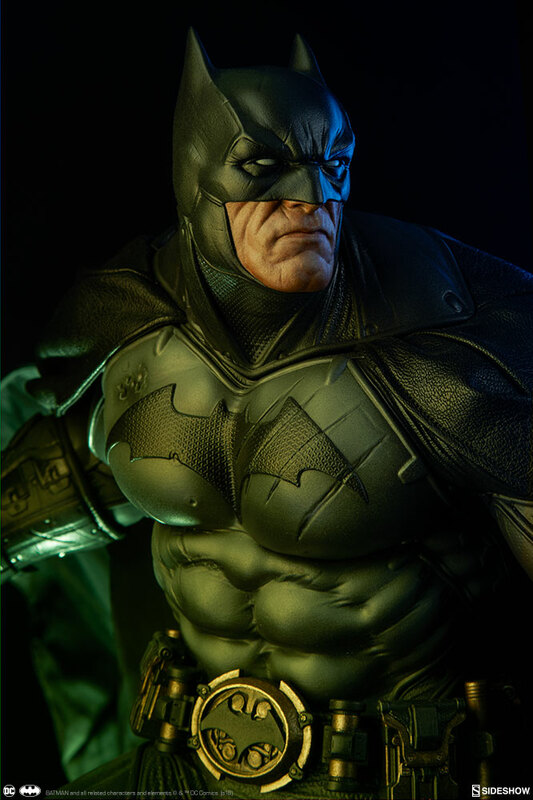 The Batman Premium Format™ Figure also has a tailored fabric cape with internal wiring to allow custom cape poses when displaying the piece. 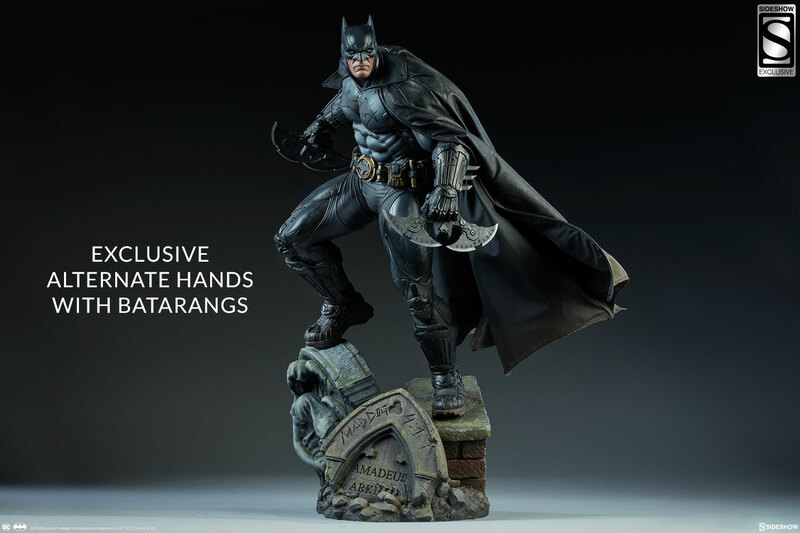 The Exclusive edition of the Batman Premium Format™ Figure includes alternate left and right hands clutching Batarangs. 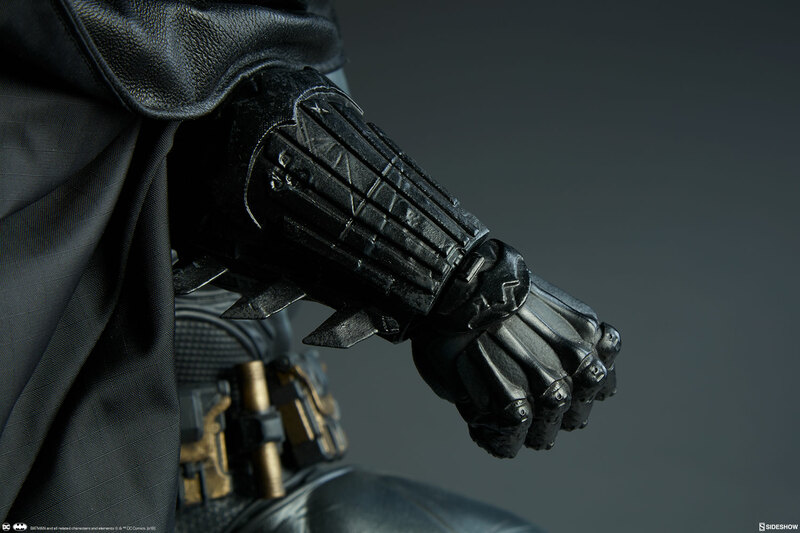 Use the Dark Knight’s arsenal to defend Gotham with this added display option. 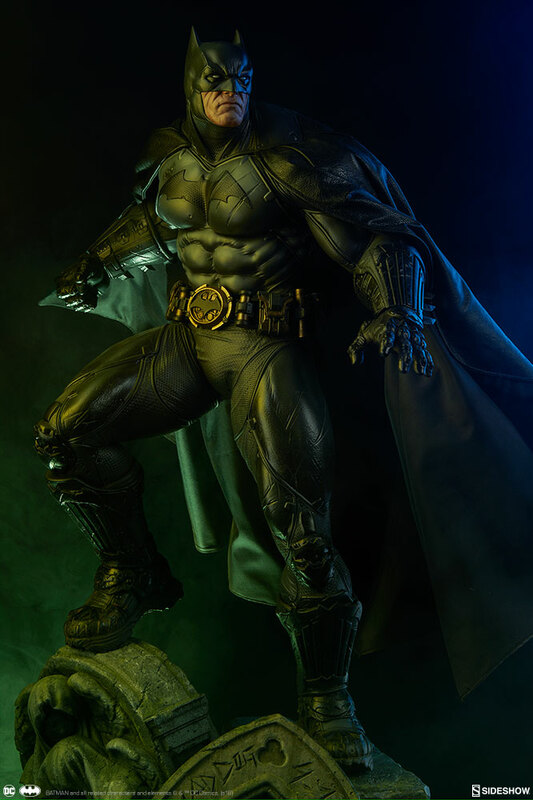 Shine the signal and bring home the Batman Premium Format™ Figure to your DC collection today! 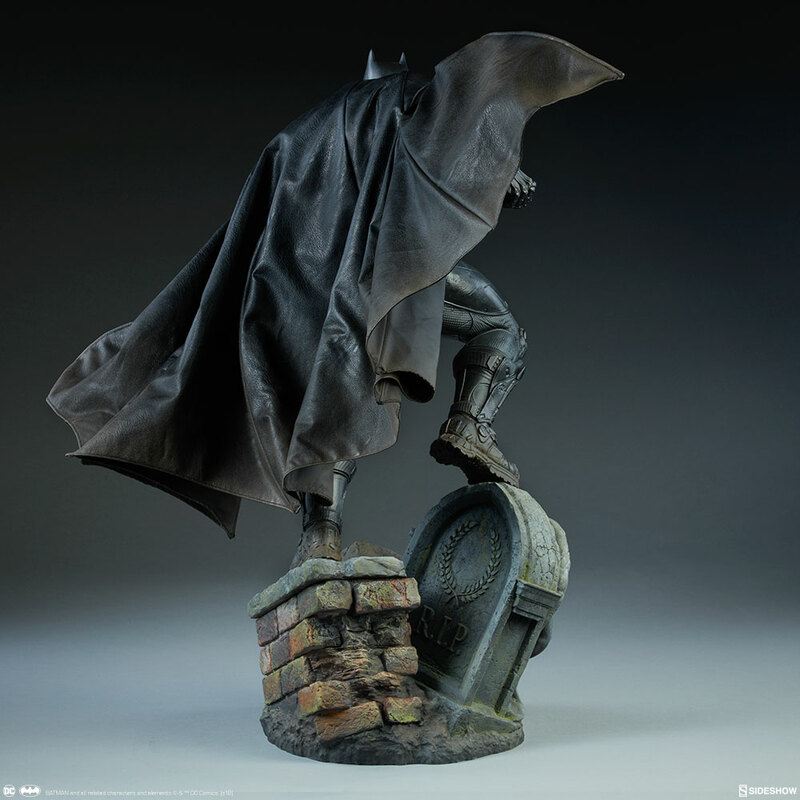 Pre-orders for the Batman Premium Format™ Figure begin on Thursday, March 29th between 12pm-3pm PST. 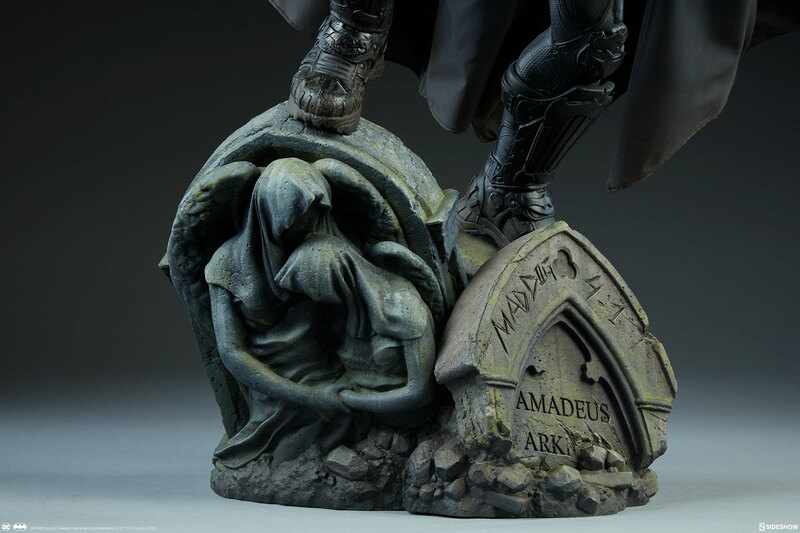 The Collector edition will be priced at $585.00, and the Exclusive edition will be priced at $600.00.